The 3/4 in. 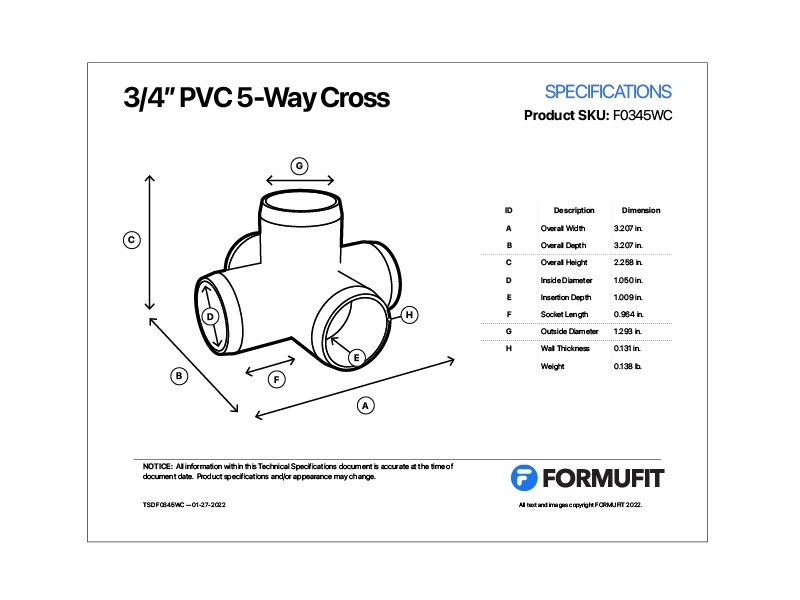 5-Way PVC Cross lets you easily connect 3/4 in. 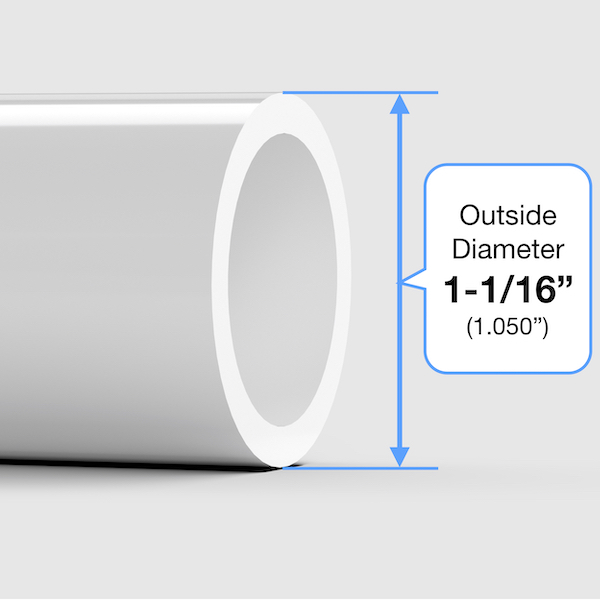 Size PVC pipe at five points on multiple planes and is essential when building base or stand applications for display units and tables. It offers four sockets in a cross configuration, with a fifth socket to allow a perpendicular connection for added intricacy when building PVC projects. 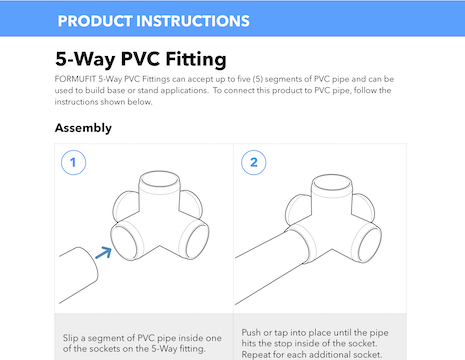 Connect externally onto PVC pipe with chamfered ends that smoothly diminish down to the pipe surface so that fitting edges don't snag pets, clothing or materials. Available in multiple colors in the 3/4 in. PVC Size. Add character and customize your project, or make it unique with your favorite college or team colors.